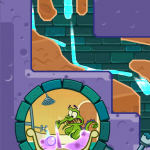 Where's My Water? ($0.99) by Disney is a physics-based puzzle game brought to you by the team that created Jelly Cars. 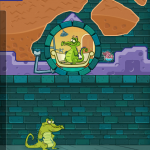 This child-friendly universal app will bring hours of enjoyment to gamers of all ages. 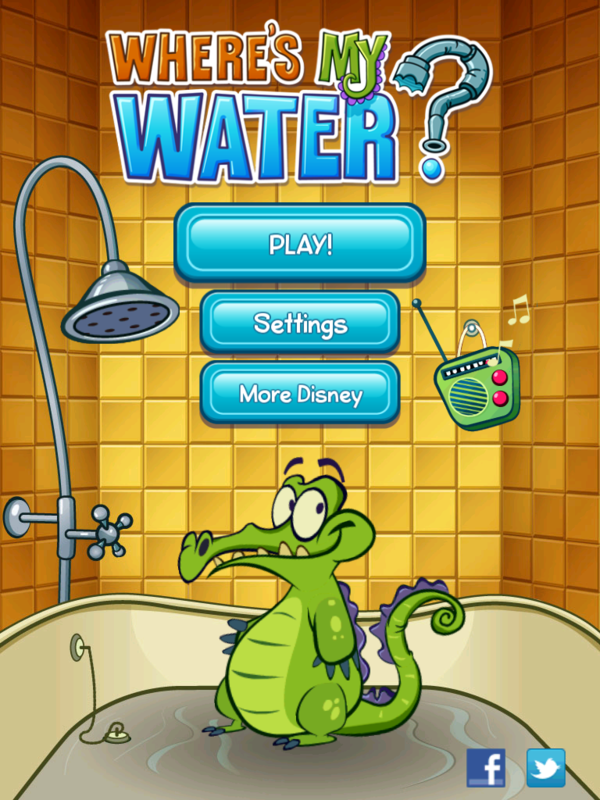 The story follows Swampy the Alligator, who lives in the sewer and just wants to take a relaxing bath. 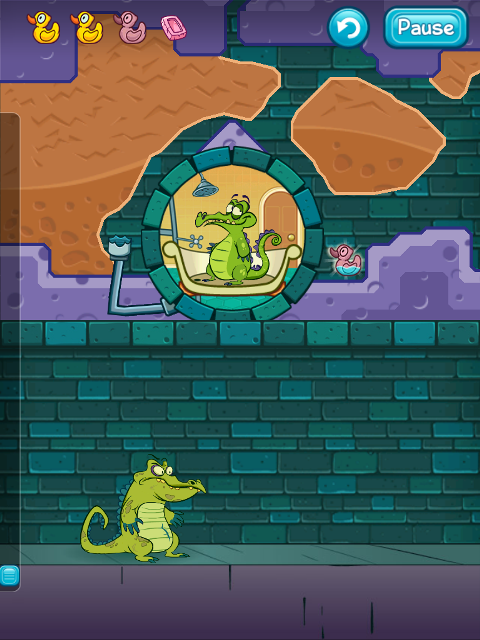 Unfortunately, there are other mischievous alligators, roaming around, breaking the water pipes. 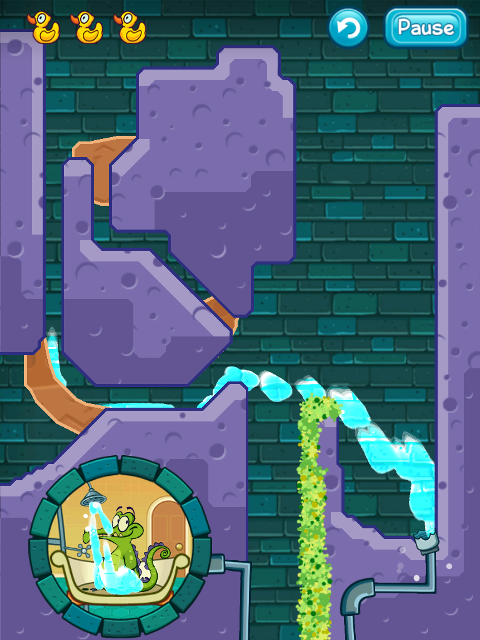 Your goal is to redirect the water to Swampy’s plumbing so that he can have his much-desired bath. 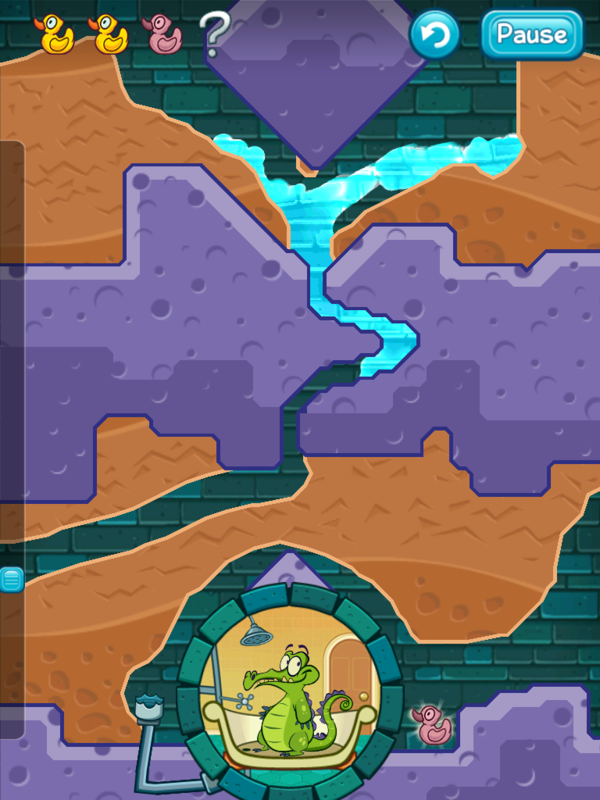 To get the water flowing, you must dig through the dirt by swiping your finger across the screen. 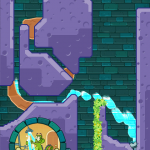 The direction you swipe will create the tunnel for the water to flow through. You can make slight detours in order to pick up rubber ducks along the way. 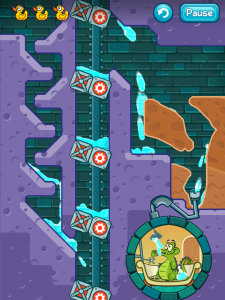 There are many obstacles that you must work around, like walls that move or exploding mines. There is also hazardous waste that you must avoid. In some cases, the best way to get around the harmful liquid is to divert it away from your path of travel. You will sometimes have your way blocked by poisonous algae. To get rid of it, you must divert the hazardous waste, which will eat away the algae, clearing a path for the water. There is also toxic ooze that will destroy the rubber ducks. In these instances, time is of the essence. 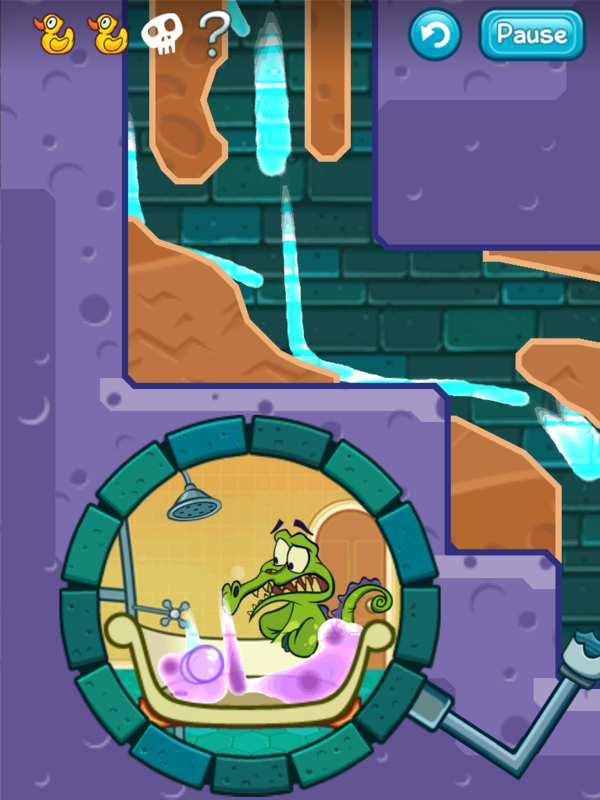 Some levels have hidden objects to uncover, like a toothbrush or a shampoo bottle, which unlock bonus levels for even more gameplay. 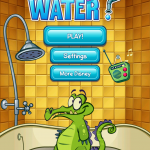 Points are scored by how fast you get the water to Swampy, how many rubber ducks you pick up and whether you send enough water down the pipe to create an overflow. 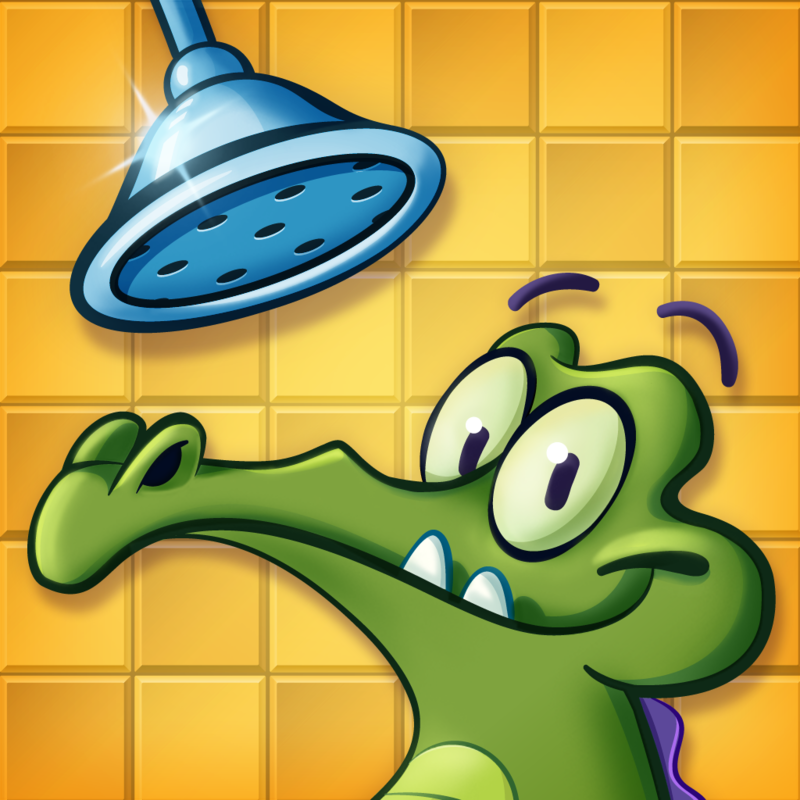 Each level gets increasingly difficult, but is not so hard that young gamers can’t get through it. Adults will find it to be an entertaining casual game and will likely get as addicted to it as any other physics-based puzzle game. Overall, this universal app is loads of fun and easy to get obsessed with. 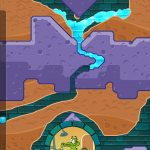 Levels become challenging, but will not discourage young gamers from playing. Your family will be fighting over who gets to play it next. It is hard to believe that a game this enjoyable is only $0.99.